While some people will opt for a CBD Body Lotion or Oil for the skin and hair, others are more interested in applying a CBD Pain Cream to deal with their issue. Each product in the Kino CBD contains different ingredients and therefore offers slightly different results. Kino CBD is all about combining the best-quality, scientifically proven ingredients to help people to feel better and to live more peaceful lives. Kino is one company within the CBD industry that is very mindful when it comes to their impact on the delicate ecosystem in Hawaii. All of their finest CBD Extract and other ingredients are designed to have minimal impact but maximum benefit. Due to the unique climate in Hawaii, nutrient-rich coil ensures some of the finest ingredients on the planet. All locally sourced, organic and grown with care and attention; the full range of Kino CBD’s products are nature’s gift to the skin. 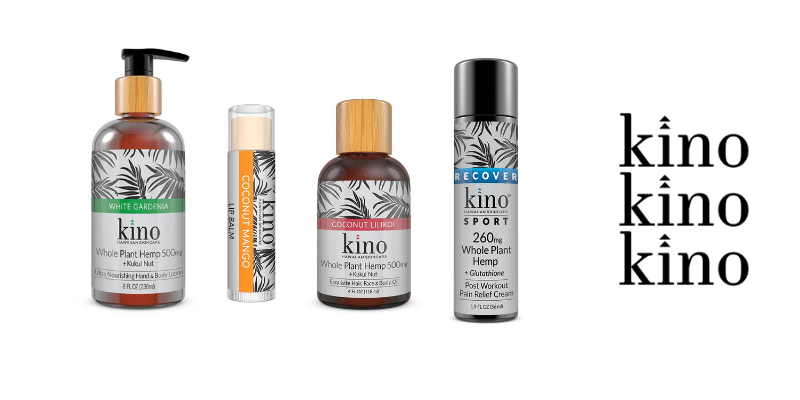 Kino’s amazing range of finest CBD Lip balms, CBD Lotions, CBD Oils, and CBD Pain Creams contain some awesome natural ingredients. Their CBD hair, face & body oil for example also contains Kukui Oil. This oil is well-known throughout the Hawaiian Islands, coming from the kukui nut, and contain a high amount of antioxidants alongside linoleic and alpha-linolenic fatty acids. These fatty acids promote healthy skin and have been used for generations by island natives as part of their all-natural skincare regime. Tamanu Oil is another mainstay in the South Pacific Islands. This oil is commonly used for cicatrization or wound healing, and it contains anti-inflammatory, antimicrobial, anti-bacterial properties. 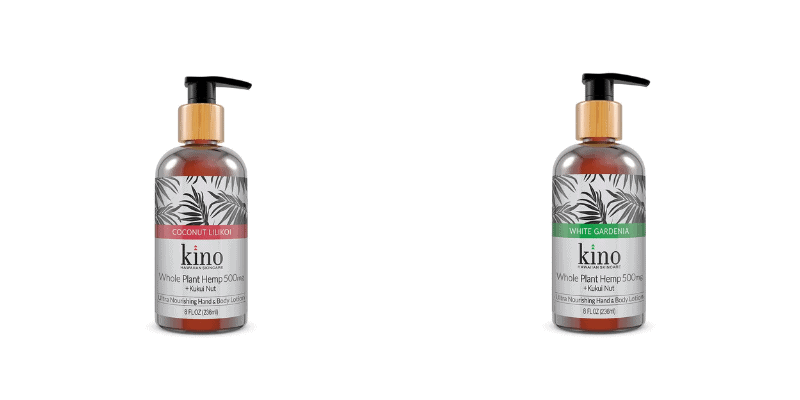 We are taking a closer look at three great products from Kino CBD; all expertly formulated to invigorate skin, leaving it feeling refreshed, moisturized and nourished. We’re also thrilled to bring you a generous 20% off CBD Coupon code at the end of this brand review, so you can start making savings on your order. Also, bear in mind that all of the products in Kino’s CBD range come packed with a generous helping of best-quality CBD extract as well as other great ingredients in the mix. Kino’s customers also enjoy a solid money-back guarantee across the whole range. That means that if you’re less than completely satisfied, you can get your money back with no questions asked. The first product on today’s list is one of the most popular, and that’s for some good reasons. 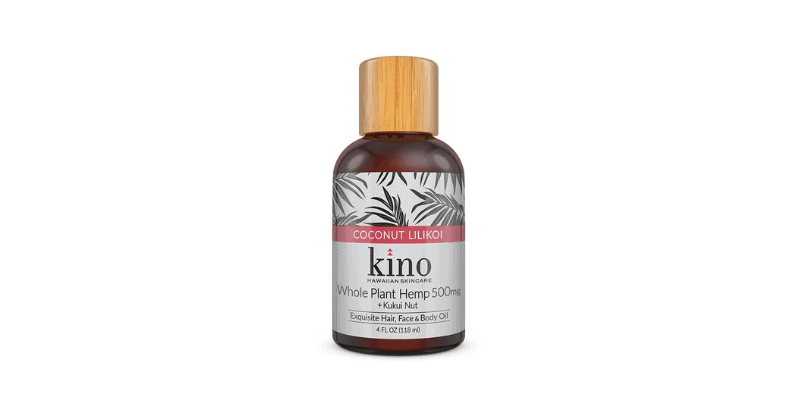 Kino CBD’s 500mg CBD Kukui Nut Oil for face, hair, and body, also contains Coconut and Lilikoi and is much-loved by many satisfied customers. Kukui oil, infused with CBD, moisturizes and hydrates the skin, declogging pores and alleviating conditions like acne and dry skin. This product is free from Sulfates, Parabens, Phthalates, Phosphates, and Gluten and contains other organic ingredients to leave skin looking and feeling great. There’s also a generous helping of vitamins A and C in the mix, offering anti-aging benefits, alongside Vitamins B2 and B6 to strengthen hair. This great product is also Vegan and cruelty-free and contains Organic coconut oil and passion fruit extracts. If you are interested in a CBD for dry skin that is the finest quality and competitively priced, look no further than Kino’s CBD Face, Hair & Body Oil. Many people who are into their skincare regime are turning to CBD body lotions and creams in favor of other products on the market that contain chemicals. Kino CBD’s Kukui Nut Oil Body Lotion contains 500mg of finest CBD as well as Coconut, Lilikoi and other healthy ingredients. This top of the range CBD Body Lotion encourages skin cells’ strength and elasticity and also alleviates itchy or dry skin symptoms. It is also formulated to keep skin safe against frost during the winter and can help with conditions like skin inflammations, infections, itches, or rashes. This lotion is intended for use by both men and women and is natural and free from harmful chemicals. Kino CBD is proud to display the prestigious, world-renowned “ToxicFree” emblem and third-party lab tests each ingredient in the product for efficacy, potency, and safety. Many people who like to use CBD Massage Oil in favor of other oils used for massage will also benefit from this great product, coming from a CBD brand from Hawaii who is passionate about their products. 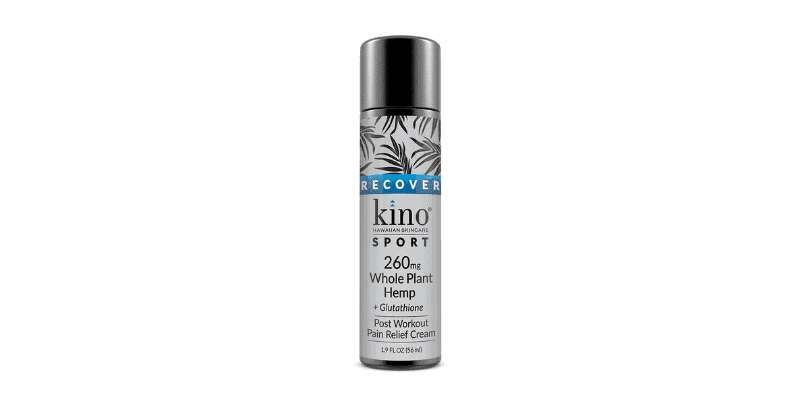 Kino CBD’s Recover 260mg CBD Pain Cream with Glutathione is a product that has many people coming back for more. The glutathione antioxidant blended in the cream with CBD promotes cellular health and recovery. At the same time, it also works to remove chemicals, heavy metals and other toxins present in the skin. It reduces oxidative stress for people who work out regularly and helps to heal injuries from tight muscles, soreness and joint pain. CBD Pain Creams can also help to alleviate the aches and pains that come from arthritis, back pain, rheumatic stiffness, and Sciatica. Kino CBD is so confident about the quality and effectiveness of their products that they offer their customers a no-questions-asked money-back guarantee if you are less than totally satisfied with the product you’ve purchased. CBD cream for knee pain is a solution that is growing in popularity as is CBD cream for chronic pain and issues like inflammation and arthritis. When it comes to buying CBD online, you need to know what you’re buying in advance to avoid any nasty surprises when your package finally arrives on the doorstep. One of the best ways to do this is to read customer reviews from verified buyers who have already used the product that interests you. It’s also worth having a good look at the ingredients inside the product, alongside the CBD, to ensure you are getting what you need. Our personal favorite from the range is the fantastic CBD Face, Hair & Body Oil which has some amazing reviews and is competitively priced. The Coconut and Lilikoi inside the bottle add to the experience and leaves the skin and hair looking and feeling like you just spent the day at a spa. The specially selected vitamins and fatty acids in this product also add to its overall effects and leaves you feeling an looking great. Then, there’s the amazing 20% discount we are offering you across the whole range of Kino CBD’s creams and lotions. 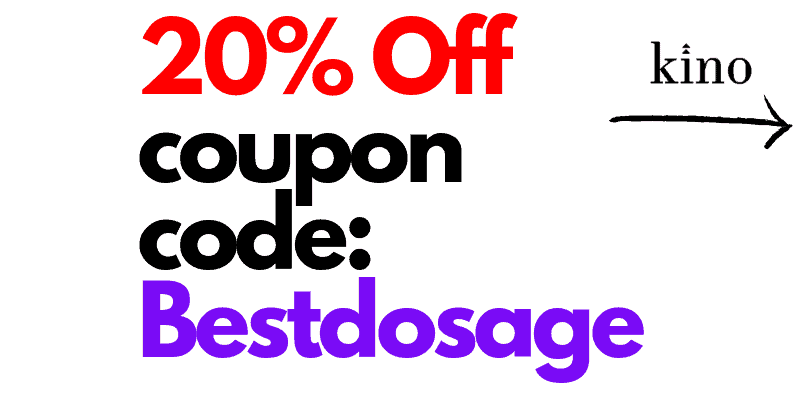 All you need to do is add the CBD Coupon Code “BESTDOSAGE” on the checkout page of your shopping cart, and you will automatically see 20% off the final price of your order. This offer is for a limited time only but can be used numerous times so there’s no limit to the amount you can save when you purchase products from Kino CBD.